These clams are from Sardinia, they are grown in the many farms dotted around the coast. I asked my yachting agent to take me to the best fishmonger on the island. It is never 'by the port'. No romantic image of the superyacht chef sourcing the best fish straight from the boat. This facility serves the better restaurants in Sardinia and exports nationally and internationally. The Sardinia Red Prawns are highly, highly sort after. Very popular in Asia too. The fishmonger was very keen on me trying the oysters and the mussels. The oysters were delicoius, from France. The mussels were local, and incredible raw. Anyway....... on with the ingredients, then the method. Onions, garlic and 6 tbsp olive oil gently for 10 minutes. The clams with the wine in a separate pan on a high heat with the lid on for 5 minutes. Le Creuset cast iron pans are absolutely wonderful. I highly recommend them. Your tomatoes, here, I am being fancy and using a Heritage selection. Bring a pan of salted water to the boil and add your pasta. 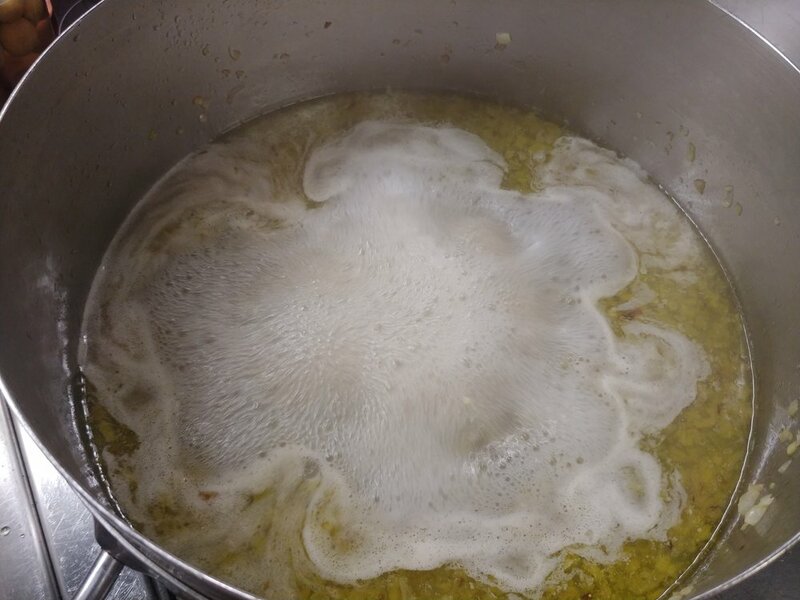 Constantly stir the pasta with a wooden spoon until the water begins to boil again. When the water is boiling again set a time for 1 minute under the reccomended cooking time. 2 ladles of the pasta cooking water to the onions, garlic and oil. Some pieces of the bottarga. Most of the clams out of their shells. Keeping a few in shell for garnish. Some chilli flakes to the onions, garlic and oil. A good, sharp knife. 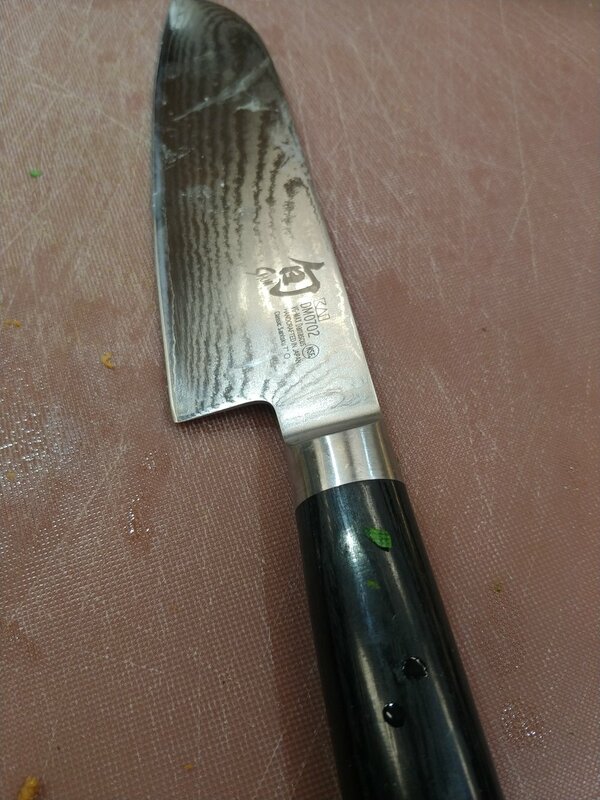 Shun 7” is the blade I am using. Highly recommended. Cooked pasta to the onions using a pair of tongs. Gently mix all together with your tongs. Let it sit in the pan on a low heat while you get some plates to serve. With the bottarga. Enjoy, this is a breathtaking pasta. Please check out my little page of the Shun Knife. …….. Great knife.